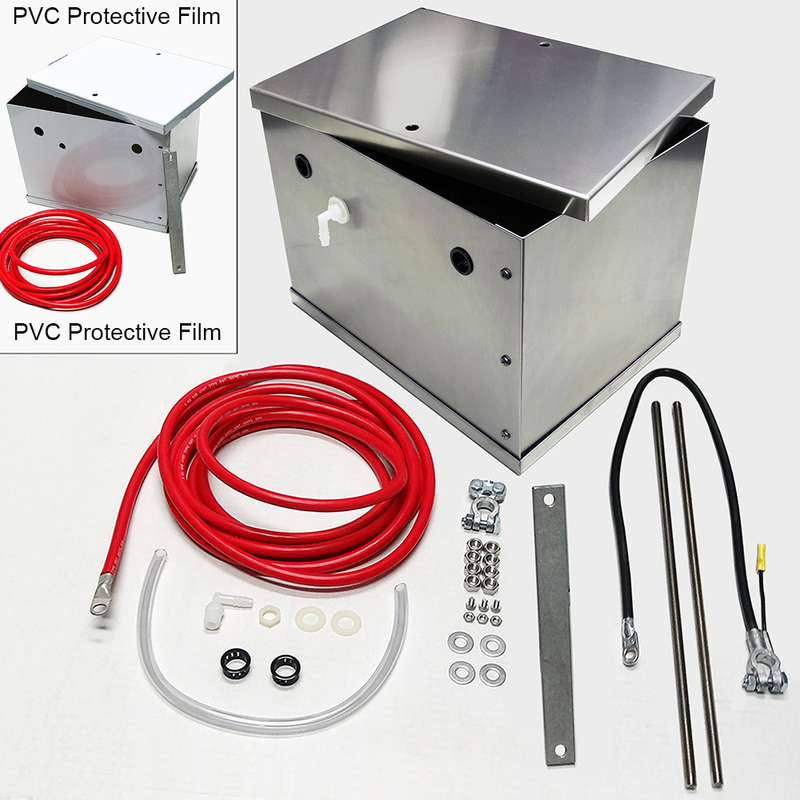 UPR's 8.1 NHRA Legal Ultra Light Weight Aluminum Battery Box Kit for your 1979-2014 Ford Mustang. This fully sealed box will handle every application from street to race vehicle and custom truck or suv applications. Our battery box is a true bolt in, hassle free plug and play kit for your vehicle. Comes complete with battery connections, performance wire positive and negative battery cable. Not import or cheap cable like many other kits include. Hardware includes stainless steel threaded rod not cheap metal bars or low end hardware like all the big companies sell. The breather fitting, breather tube, grommets and battery hold down with wing nuts for an easy install. 1979 1980 1981 1982 1983 1984 1985 1986 1987 1988 1989 1990 1991 1992 1993 1994 1995 1996 1997 1998 1999 2000 2001 2002 2003 2004 2005 2006 2007 2008 2009 2010 2011 2012 2013 2014 V8 GT LX Cobra Shelby GT-500 Boss 302 Mach 1 Mustang Steeda Roush & Saleen Vehicles. No one else can stack up to the bold clean styling of our aftermarket Billet dress ups, Street Strip & Racing Suspension & Performance Parts for your late model American Muscle Car!